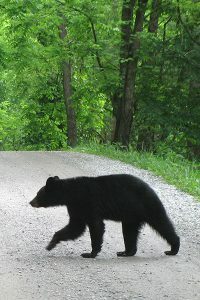 Numerous communities throughout North America apply BearWise practices. The result? Fewer bear conflicts. Hurlburt Air Field in Okaloosa County lessened human-bear conflicts by 70%. Wingfield North in Seminole County; St. Teresa and Alligator Point in Franklin County; and Ave Maria in Collier County all saw bear conflicts drop soon after adopting BearWise practices. Hog Wild BBQ in Carrabelle, secured their restaurant dumpster with modified lids. This action cut the number of bear encounters significantly. First and foremost, BearWise communities reduce human-bear conflicts. BearWise communities are not only safer for people and bears, they also can avoid liability if a person is injured by a bear. Are Bears Getting Into Garbage & Other Food? 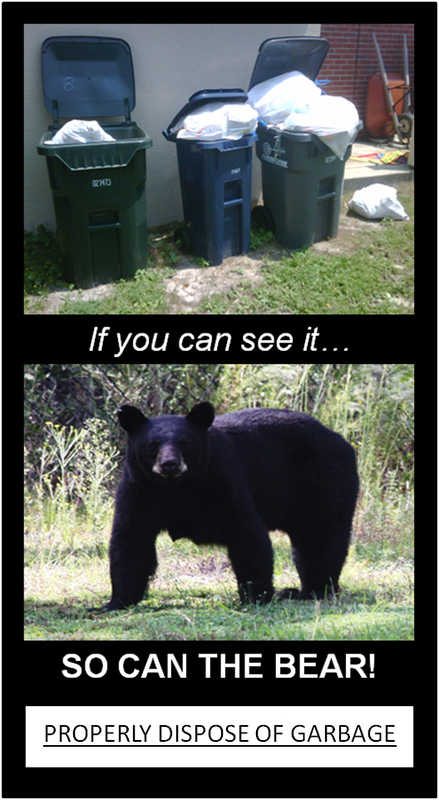 Look for garbage, birdfeeders, pet food, and greasy barbecue grills that attract bears craving calories. Are Local Authorities Getting Calls? Consult with fish and wildlife biologists, conservation officers or law enforcement officers to assess bear issues in your community. Discuss bear issues with your neighbors. When ready to take action, contact your local fish and wildlife agency, community leaders and trash haulers. Some states may offer a BearWise certification program that offers benefits for participating communities. Check with your state wildlife agency. 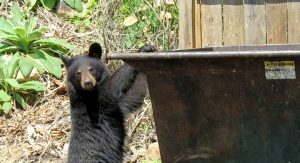 Neighborhood groups and communities can use the tools and techniques pioneered by bear-resistant communities. See the many resources below. Also visit our Six BearWise Basics. Many BearWise Communities drafted and passed ordinances (i.e. regulations) that support BearWise behavior. The ordinances address such issues as wildlife-resistant trash storage, pet food storage, necessity for clean barbecue grills and bear-resistant deployment of bird feeders. BearWise communities don’t have to start from scratch. Here’s a slideshow with a few great ideas to get you started. What makes a dumpster bear-resistant?